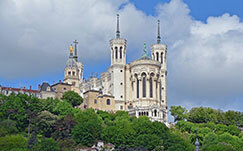 Visit famous French cities like Bordeaux, Cannes, Chamonix, Chartres, Clermont-Ferrand, Limoges, Marseille, Nice and Paris. Below a list of the official city sites of important cities in France. Find information on the cities, as well as official visitors bureaus and travel and tourism offices with tips for travel, activities, sightseeing, lodging and accommodations for your next holidays in France. Searchable map and information about the city of Paris. Official website of the French capital, the Romans called her Lutetia. 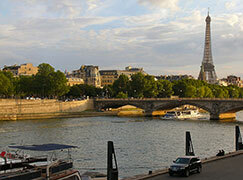 Paris Convention and Visitors Bureau offers a broad range of information about the city. A city full of history, temporary the residence of the Pope (1309-1377). The spa town in eastern France in the Rhone-Alpes région, near Lac du Bourget. Searchable map and information about the city of Bordeaux. Official website of Bordeaux, the city famous for its wines. The village in the Orne département of Normandy where the famous French cheese is originated from. Searchable map and information about the city of Cannes. A small French city with a Film Festival. Official site of the Cannes Film Festival. The popular mountaineering and winter sports resort in the Haute-Savoie in eastern France. 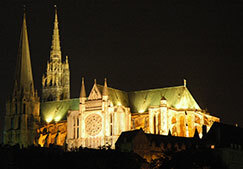 A city in north-central France southwest of Paris, famous for its cathedral, one of the World Heritage Sites. The city in the Auvergne region, one of the oldest cities of France, surrounded by a chain of volcanoes. The city hosts an international short film festival. Quiet Days in Clichy. Clichy is a commune in the northwestern suburbs of Paris, served by Mairie de Clichy station on Paris Métro Line 13. Henry Miller, the American author, lived here from 1932 to 1934. A town in the Alsace region in northeastern France, close to the border with Germany. Its old town has cobblestone streets lined with half-timbered medieval and early Renaissance buildings. 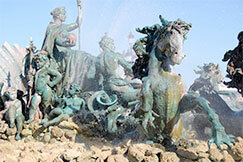 It is the home town of the sculptor Frédéric-Auguste Bartholdi, the creator of the Statue of Liberty. Living in Cognac, a commune in the Charente department in southwestern France. The town gives its name to one of the world's best-known types of brandy: Cognac. Tourism Office of the Cognac region (in French). The capital city of the French Alps and a major scientific center surrounded by many ski resorts, host of the Winter Olympics in 1968. 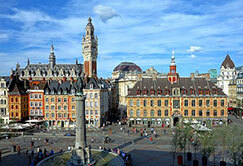 Searchable map and information about the city of Lille. Official website of the European Capital of Culture in 2004. The city in the Centre-Ouest region is famous worldwide for its medieval enamels on copper and since the 19th century for its Limoges porcelain. The town in the Hautes-Pyrénées is one of the largest Catholic religion pilgrimage location in Europe. Notre Dame de Fourvière, Lyon. Searchable map and information about the city of Lyon. 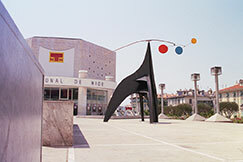 The tourism office of Lyon. Searchable map and information about the city of Marseille. The oldest city in France. 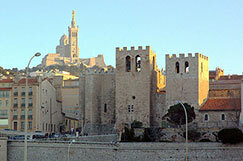 Site of the Marseille Convention and Visitors Bureau. Searchable map and information about the city of Montpellier. 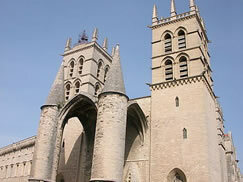 Mediterranean city in south France, with one of the oldest universities of Europe (in French). Searchable map and information about the city of Nantes. 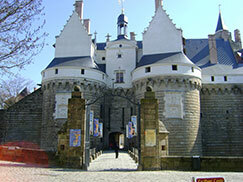 Official web site of the historical capital of the Duchy of Brittany. Searchable map and information about the city of Nice. Painter Yves Klein's home town. Nice Convention and Visitors Bureau. The official Nimes tourism office. The City of Orléans, most famous because of Jeanne d'Arc (Joan of Arc) the Maid of Orléans, liberator of the city in 1429. Joan of Arc archives, library and museum site (in French). University town and capital of Brittany. Place du marché aux cochons de lait, Strasbourg. Searchable map and information about the city of Strasbourg. Seat of the European Parliament and the Court of Human Rights. 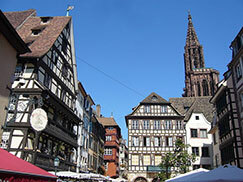 Tourism office for Strasbourg and the Alsace region. 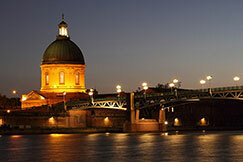 Dome of Hopital de la Grave and Saint Pierre bridge, Toulouse. Searchable map and information about the city of Toulouse. Europe's capital of aerospace industry. Annotated Satellite View of Château de Versailles. A small town of no importance west of Paris until 1682 when King Louis XIV, accompanied by his royal entourage, moved to Versailles in his new residence. The royal residence of Louis XIV King of France and Navarre.